This wine was opened on the evening of October 27th, 2014 while waiting in anticipation for the Caledon Municipal Election results. 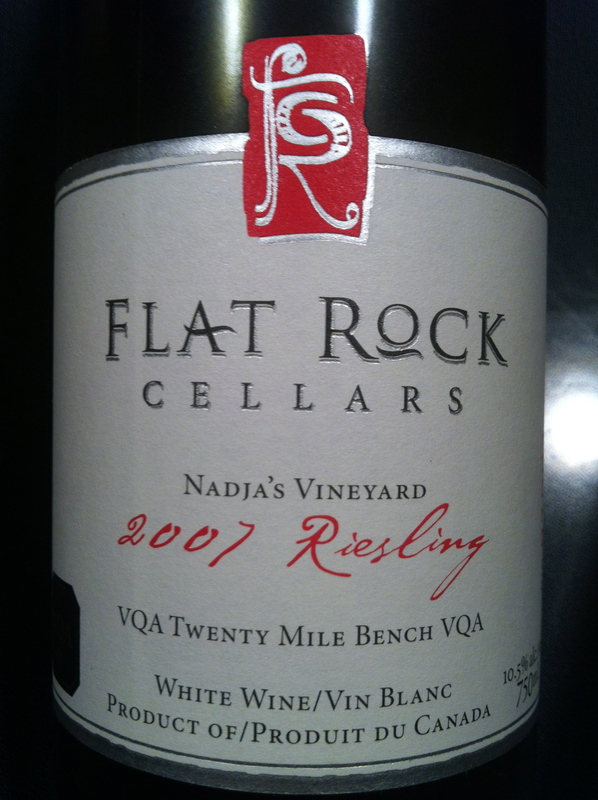 I picked this wine up at the Flat Rock Cellars winery on a birthday trip down to the Niagara Region in 2009. The screw cap had held very well. The pale golden hue set the stage for the nose of sweet petrol notes, tart green apple, and a slight floral high note. The flavours in the mouth were zest of lemon and lime grated with flat beach stones, the ones perfect for skipping. On the backend there was lemon curd tartlet, with a gentle whisper of petrol. Complex yet crisp and clean. Lovely, simply lovely.